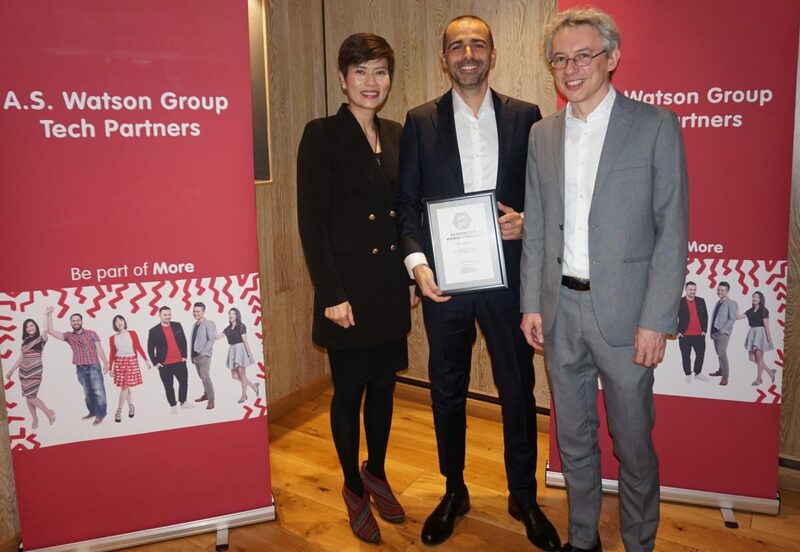 Today, Ovolab srl was formally appointed Tech Partner of the A.S Watson Group (ASW for short), the largest international health and beauty retailer in Asia and Europe. ASW, part of the CK Hutchison conglomerate, is present in 24 markets, has over 130,000 employees worldwide, and has an annual revenue of 20 billion USD. Ovolab, a small Italian software house with offices in Turin and Milan, is delighted to be appointed the status of ASW Tech Partner, and honoured to be among a handful of suppliers that were given the privilege of partaking in a luncheon hosted by ASW COO Malina Ngai. During the luncheon at the InterContinental London Park Lane hotel, Ms Ngai shared her clear vision for ASW’s digital strategy, and encouraged her guests to lend their technological savvy to foster its goals. Ovolab srl has been a supplier to ASW for over four years now, and in late 2016, it was given the mandate to form a development team in Milan (sharing office space with ASW eLabs) who are focused on creating innovative mobile apps that will be the mobile face of several business units of ASW, including Marionnaud, The Perfume Shop, and Superdrug.